I am planning to do some basic upgrades in phases and am thinking about an electronic boost controller. First, I don't like the stock exhaust sound which is barely more throaty than a hybrid! I want to either go to more of a european tune by deleting my cats and putting on a nice muffler like a borla. I understand messing with the exhaust can cause overboost and a electronic controller can avert that. Secondly, I think even without an intercooler, my US 1980 S1 car safely used slightly more boost in euro tune. So, my plan is to duplicate that for a modest bump in power and better sound until i can add an intercooler later. I have read 10 psi is ok on a stock 931 w/o intercooler. I do want to add a 951 FMIC but that would be phase 2. Any brand preference? I have seen used HKS ECV 4s for $200 and new HSV ECV S for around $300-$400. Thanks! "Ein froher Porsche heilt jeden Schmerz"
Changing the exhaust has no effect on boost/overboost. Only effect is that boost may come on earlier with less back pressure in the exhaust. I chose the industrial way, fairly cheap and excellent regulating performance, and it looks properly old school. I have a gizzmo IBC-R on the shelf which i bought cheaply second hand, might test it this summer, but its a tad fiddly to set up. Therefore Ill go MBC first to have reliable performance when my new setups is up and running. Set it up to euro spec and you will have alot of fun. 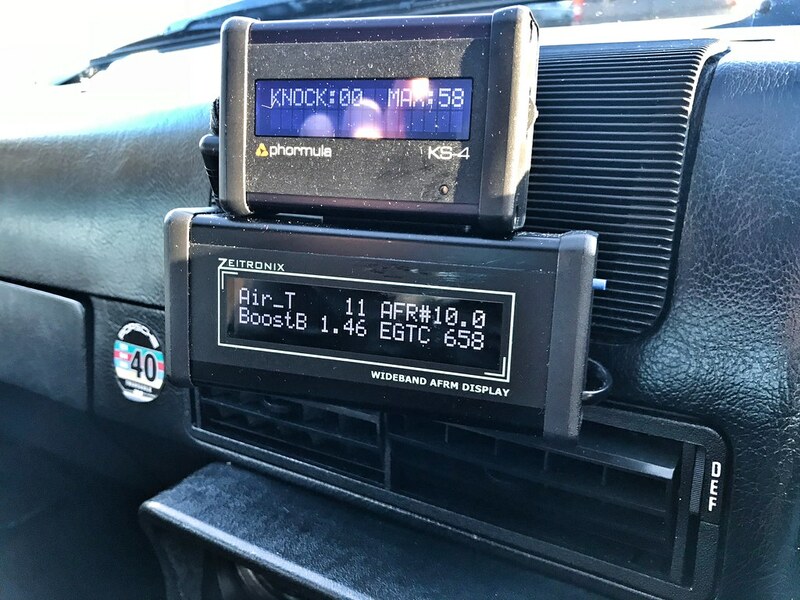 I recommend running a wideband lambda in the tailpipe just to check that it runs fine and safe while you raise boost. Posted: Tue Mar 20, 2018 10:25 am Post subject: Thanks gents! Appreciate the reply. I had some doubts about the overboost issue but am glad you cleared it up! Also, the industrial solution looks cool too! I will wire it up like dutch racer aswell, its great that our waste gates are prepared for that kind of setup. 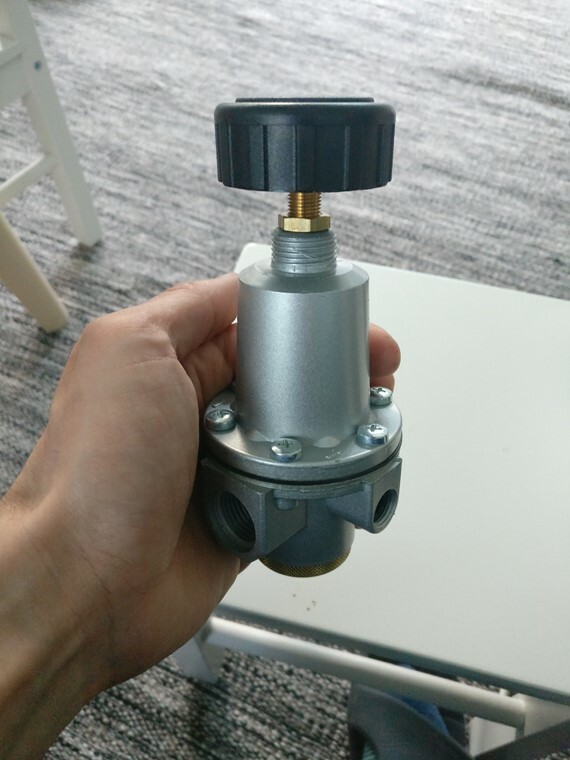 Its a Riegler 0,1-3 bar controller for pressurized air systems, bought it for performance and the fact that it looks like a period boost controller from the 70s, but only costs a fraction. The only thing it lacks is a metal knob, what will be a later project.. I do like that these kind of controllers have a detailed spec sheet and spare parts are available etc. Its very bulky and heavy though there are many smaller industrial versions aswell. I need to do something like this as well, although I need to sort my current 1 bar boost issue first (as in, why am I getting 1 bar?! Either someone changed the spring intentionally or I have a wastegate diaphragm leak, would be my guess). Still trying to decide if I want a controller in the cockpit or not. Have my VDO boost gauge and WBO2 set up old-school in one of the center-speaker replacement pods from Dan. Well, I will once I get around to that; currently in a roughed-up flat plate install. 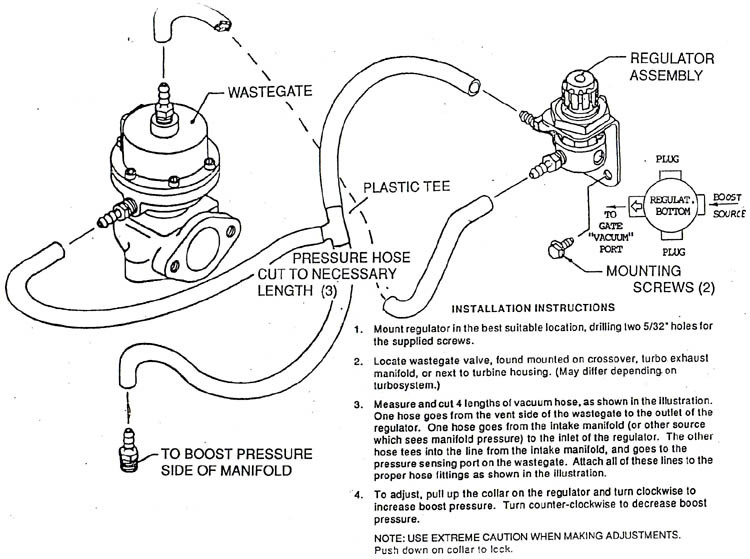 I was using a regulator similar to cedrics but not correct like his. I think it was from a helium tank setup for making party balloons.. I put much lighter springs into it until it would give me the pressure range I wanted but I was not satisfied with it..
Say I tuned the boost to 14 psi one day, the next day it would take a lot of getting into boost to get enough pressure in my top port built back up to bring the boost back up to where I had it set. So I would end up turning it up to get my boost up and then backing it back down every time I wanted to use it.. I'm not going to rig that one back in and am not sure what I'm going for in a BC next.. Ultimately I want to get a solenoid and program my megasquirt to control it. In the meanwhile, I somehow acquired an odlschool blood pressure taker thing with the squeeze ball, guage, and balloon cuff thing..
Crazy, but I want to test it on my top port and see if I can use it to set my top port pressure and see what boost effects it can give me at certain top port pressures, like increasing the spring pressure.. But that's probably just nonsense.. I want to program my MS ECU to EBC and limit boost in 1st and maybe 2nd a bit but it's not quick and easy and is down the list a ways.. I just want to get my intake back together and fire it up right now but my dogs seems to have spilled my TB guts all over and I haven't found them all yet.. I had it stripped for TPS adaptation and this spring I found the its main axle far away from where I think I left it.. Pretty sure I had all the guts in a ziplock and the dogs played with the ziplock.. They made quite a mess of my empty ziplocks and a book of sandpaper all over the place..
OK, probably a dumb question, but when you guys are installing these boost controllers that connect to the upper port on the stock wastegate...are you physically removing the wastegate to do so? I can't even see the top of it from above, and I don't think I can get my hand up there from below, even if I remove the J-pipe. I could be wrong about that, as I haven't tried, but it just doesn't look like much room. I don't think their is a way other than pulling the WG out.. I would also rank doing so as one of the most difficult jobs to perform on the 931. It takes a few different wrenches, sockets, universal, extensions, stubbies, and stubbie ratcheting wrenches to get at the multitude of hard to get a tool on bolts.. I forget if it's a 12 or 13, but when I do it, pretty much find every 13mm wrench I have in different lengths and angles and go through most of them trying to get at the bolts..
And then the WG bracket that mounts to the torque tube.. Have fun getting that back on much less off.. Stubbie ratcheter is pretty much the only way.. The thing is also cast iron and the studs tend to break.. Exhaust parts, rust.. If you aren't extremely lucky then brush up on your broken bolt extraction techniques.. I had to drill a few of them out until you could see the threads and run a tap in em.. If you ever have it out I'd highly advise adding the top port tube to it while you can.. If the diaphragm is toast, what is it $100-$150 bones.. Attached my top port hose from above. I had the intake manifold off for maintenance anyhow. But I have had the top port off/on since with manifold in place. But my WUR is not in the stock position. Still not easy and you are doing the wrenching by feel and blind. Dome Control at the end.. Wow..